As a World Heritage Site marking the site of the Greenwich Meridian (the base point for World Time and the location of Longitude 0) Greenwich is most famous for being associated with time and with space. As you walk across the spectacular Greenwich Park you get a potent sense of both. With its hillside location on the edge of the city, the oldest enclosed Royal Park stretches out over 183 acres, offering a strong sense of space and some truly spectacular, expansive views. The top of the hill, near the Observatory, affords amazing vistas across the River Thames to St Paul's Cathedral and beyond; head for the Henry Moore statue 'Standing Figure Knife Edge' for the best vantage point. The many historic buildings that surround the park tell a story that dates back over hundreds of years. While its history stretches back to Roman times (look out for the remains hidden among the grass), the park was first enclosed in 1433. It went on to entertain a host of royal residents, for whom the park became their back garden. Henry VIII, Mary I and Elizabeth I were all born here, while Queen Anne's royal house (Queen's House) still remains to this day. 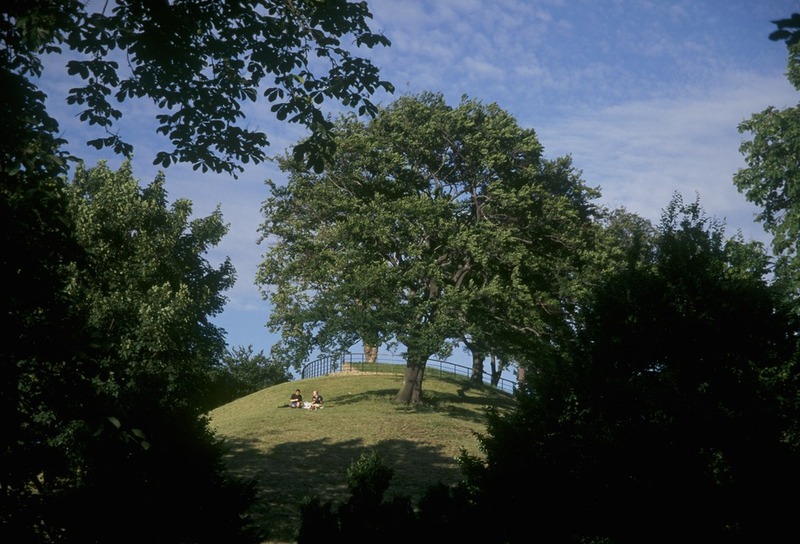 The park's various trees also tell a tale of time - some date back to the 1600s, while the truncated shape of others reveals a period during World War II when the tips were cut off to broaden the field of fire for guns positioned in the park. An ancient oak tree, known as 'Queen's Oak' because of its associations with Queen Elizabeth I, still stands firm and proud in the park. Having evolved over time the park now contains a number of more modern attractions - a boating lake, cricket pitch, tennis courts and a bandstand sit comfortably alongside a herb garden, duck pond, rose garden, and secret garden behind the Observatory. This is probably the most historically significant of all London's parks. Its also amazingly beautiful. Make a day of it by taking in Greenwich's other attractions the Cutty Sark, Royal Observatory, Queen's House, the Old Royal Naval College and Greenwich Market all warrant a trip. End the day on a riverside table outside the historic Trafalgar Tavern. Ancient oaks, views, Elizabeth I and Henry VIII, time and space. Greenwich Park gyms, sporting activities, health & beauty and fitness. What are the best dining options near Greenwich Park London? The best pubs near London Greenwich Park. Greenwich Park clubs, bars, cabaret nights, casinos and interesting nightlife. Where to have your meeting, conference, exhibition, private dining or training course near Greenwich Park. From cheap budget hotels to luxury 5 star suites see our discounts for Greenwich Park hotels, including InterContinental London - The O2 from 84% off.